Stephen Paul Miller is the author of Any Lie You Tell Will Be the Truth (Marsh Hawk Press), funded by a generous grants from the Council of Literary Magazines and Presses via the New York State Council on the Arts; The Seventies Now: Culture as Surveillance (Duke University Press); The New Deal as a Triumph of Social Work: Frances Perkins and the Confluence of Early Twentieth Century Social Work with Mid-Twentieth Century Politics and Government (Palgrave Macmillan); Being with a Bullet (Talisman); There’s Only One God and You’re Not It (Marsh Hawk Press); Skinny Eighth Avenue (Marsh Hawk Press); Fort Dad (Marsh Hawk Press); Art Is Boring for the Same Reason We Stayed in Vietnam (Domestic); and The Bee Flies in May (Marsh Hawk Press). He co-edited, with Daniel Morris, Radical Poetics and Secular Jewish Culture (University of Alabama Press), and, with Terence Diggory, The Scene of My Selves: New Work on New York School Poets (National Poetry Foundation). His work has appeared or soon will appear in Best American Poetry, Barrow Street, New American Writing, Lit, Jacket, William Carol Williams Review, Columbia Review, Pataphysics, Zeek, Black Clock, Scripsi, Shofar, Mipoesias, Boundary 2, Columbia Review, American Letters and Commentary, Another Chicago Magazine, Paterson Review, Eoagh, Coconut, Zen Monster, Poetry New York, Mudfish, Tygerburning Literary Journal, St. Mark’s Poetry Project Newsletter, Appearances, Bowery Poetry Club, Brooklyn Rail, Voices Israel, Literature around the Globe, Critiphoria, Professional Studies Review: An Interdisciplinary Journal, Tribe of John (University of Alabama Press), Burning Interiors (Farleigh Dickinson University Press), Reading the Difficulties (University of Alabama Press), Marsh Hawk Review, The Contemporary Narrative Poem: Critical Crosscurrents (University of Iowa Press), The New Promised Land: An Anthology of Contemporary Jewish American Poetry (Bloomsbury), and elsewhere. His plays have been performed at The Kitchen, PS 122, La Mama, St. Mark’s Poetry Project, Bowery Poetry Project, University of Vermont, 8BC, Life Cafe, Darinka, and Intersections in San Francisco. 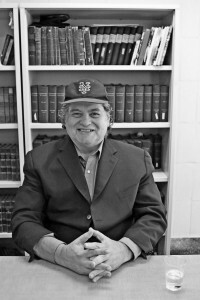 He originated the Ear Inn Poetry Reading Series, and he edited the innovative National Poetry Magazine of the Lower East Side, Poetry Mailing List, and Critiphoria. Miller was a Senior Fulbright Scholar at Jagiellonian University in Krakow, Poland. He is a Professor of English at St. John’s University in New York City, was a Senior Fulbright Scholar at Jagiellonian University in Krakow, Poland, and co-ran the Columbia University American Studies seminar between 1999 and 2002. In 2015, he received a grant from Shanghai International Studies and Hunan Universities to give poetry readings and lecture in China. Also in 2015, he was a Fordham U. Press Poetry Contest runner-up, and he also received a KlezKanada Poetry Retreat Scholarship in Montreal, Canada. Please find below a feature on his work by Dean Kritkos, graduate student in the St. John’s English Department.